A tale of two (NCR) cities! The third week of last month saw two contrastingly different green incidents in two different National Capital Region (NCR) cities, on the same day. 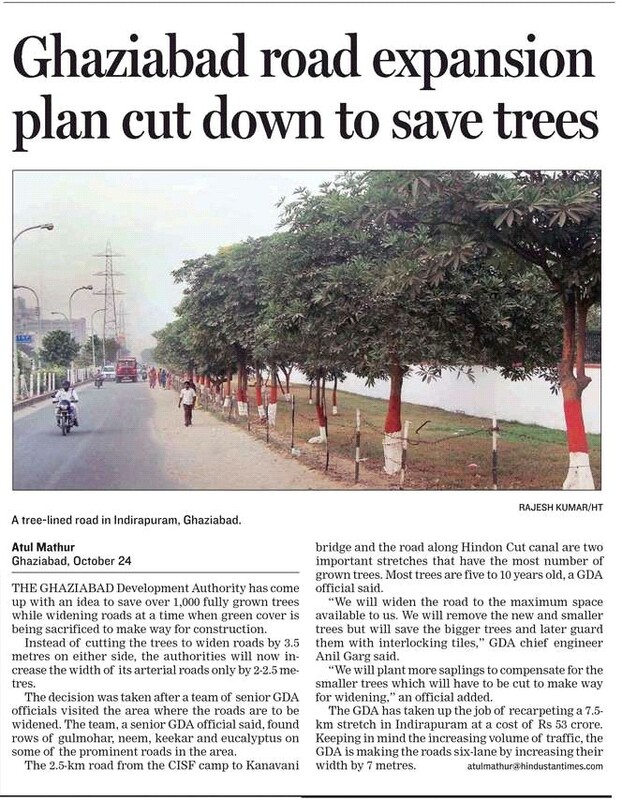 While the Ghaziabad Development Authority (GDA) has decided to save over 1,000 fully grown trees while widening roads and has also come up with an idea to carry out “development around the greens” instead of through the greens, NOIDA on the end had a completely different story to tell. A resident of NOIDA, who tried to resist the cutting of trees in a park near his house was threatened and nearly assaulted by men who came to cut the trees on the pretext of pruning them.